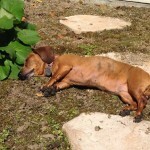 It went down to 70 today — Schatze is preparing for winter…. She is so cute! I love it. It’s been getting into the 40’s at night here, Dora has been very snuggly in the morning. And I’m out raking leaves–it’s 45 degrees and cloudy! Just came in for that last cup of coffee out of the pot! Tell Schatze I’ll join her! Schatze is so cute! 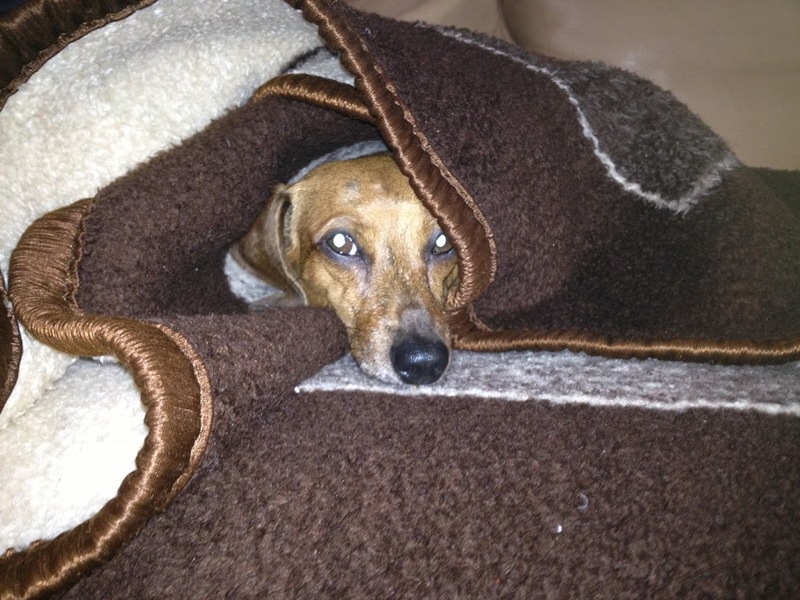 My doxies love to burrow too. 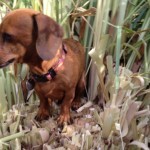 I’ve thought about getting one of the “snuggle sacks” for them – they look perfect for doxies.